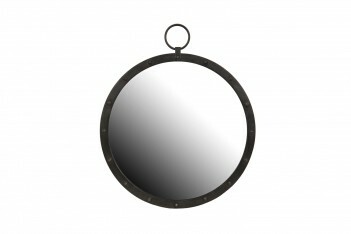 Black metal round mirror, with studs around the frame. Ring on the top, slightly rustic finish. Comes with a hanger on the back. Mirror diameter is 56cm, the height with the ring is 66cm.